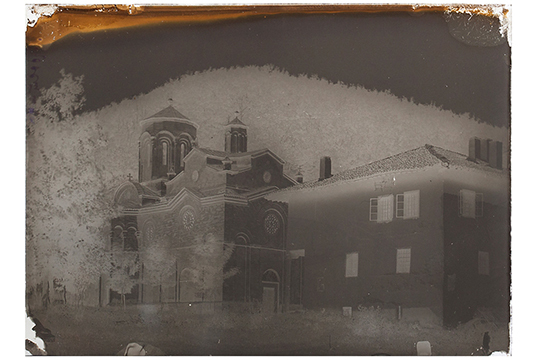 Part of the legacy of Professor Djordje Stanojević (Negotin, 1858 – Paris, 1921), physicist, astronomer, Rector of the University of Belgrade, is kept in the Historical Museum of Serbia as a separate collection. The acquisition of objects that belonged to Djordje Stanojević lasted from 1969 to 2000. The first objects of the collection the Museum obtained from the professor’s family as a donation: photos, documents, books and brochures. 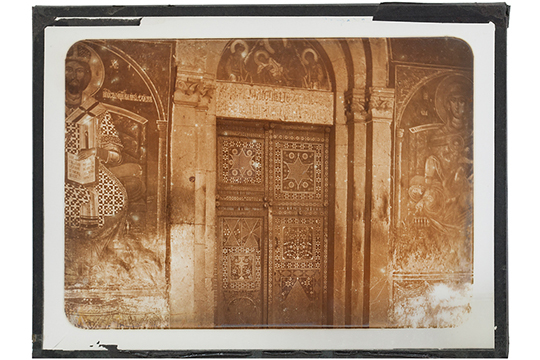 Five years later, the Museum purchased a certain number of photos – positives and negatives on glass with snapshots of landscapes, towns, monasteries and churches, and industrial plants. New donations by his successors followed in 1978 and 1982: personal belongings of Djordje Stanojević, including desk and stationery, his photo portraits, the photo of Nikola Tesla with his inscription, and personal documents, as well as twenty-three letters from Queen Nathalie Obrenović. Most of these letters were addressed to Stana Bogićević, Stanojević’s wife, or to her parents, Colonel and Mrs. Antonije Bogićević. The remaining objects from his legacy, twenty-five glass plate negatives with images of the sun, the Museum purchased in 2000. The objects within the Fund tell about Stanojević’s familiarity with and participation in current astronomic missions in Europe and worldwide, as well as about his knowledge of electric energy and his strong plea for electrification. Thus, Belgrade, in which a power plant was built in 1893, only twelve years after the first power plant in the world, was among the first capitals that used electricity for lighting and tramways. He wanted to implement the new scientific inventions in Serbia as soon as possible. The first modern hydro-electric power plants for the lighting of cities, with three-phase alternating current generators, were built according to his ideas. He organized the industry of refrigeration (ice plant), advocated the introduction of the professional terminology and the metric system of measurement. He also initiated the construction of standardized country houses to ensure hygienic living conditions in the countryside, and published the first photo-album of Serbia, Serbia in Pictures (1901); he researched colour photography and was the author of the first colour photograph in Serbia. The archival material includes family correspondence, photographs, manuscripts and documents related to his life and work. The documents related to electrification, as well as to the Peace Conference in Paris in 1919, are singled out in two separate groups. Djordje Stanojević was active in various fields of science and tried to present scientific developments in astrophysics, electrical engineering and industry to the public in Serbia. With his inspiring report on the first International Exhibition of Electricity in Paris in 1881, published in the Srbadija magazine, he inaugurated the popularization of all the innovations in electrical engineering to the Serbian public – an activity which lasted throughout his life. To bring science closer to the public and take advantage of scientific achievements for the benefit of the Serbian people and the state was the motto of his life. The documents and other materials of this fund are an important part of his scientific legacy.